Like many other commentators, Kotkin notes that Lee helped make Singapore one of the most attractive places in the world for foreign investment, but that investment started pouring in during the late 1960s, a time when China was closed to foreign investment and many other Asian nations also were unwelcoming to investors. “Once Asia had few places where advanced technology and services could be developed; now it has many. China alone has 13 cities larger than Singapore, many of them with breathtakingly modern infrastructure and far less expensive workforces,” Kotkin writes. 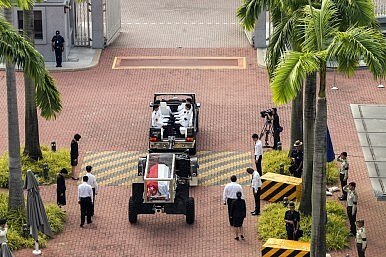 He also notes that Lee Kuan Yew’s embrace of essentially technocratic government has left Singapore, in his view, a kind of soulless place in which earning an income is people’s highest goal, creating some kind of void. Indeed, Kotkin mentions a global Gallup survey which found that Singaporeans are pessimistic about whether their future will be better than Singapore’s past. Other commentators, such as the Washington Post’s editorial board, have noted that decades of restrictions on social and political freedoms in Singapore’s past will have to be abandoned as countries around Singapore democratize; some Singaporeans worry that Singapore’s restrictions have made the country too cautious and hindered innovation. Singaporeans’ pessimism also is not a high obstacle to growth and innovation. Many of the countries in the Gallup poll whose citizens have similar levels of pessimism—Germany, Finland—actually have done quite well economically, and continue to prosper. In these countries, sustained economic success has created high expectations—expectations that can be tough to fulfill. By contrast, some of the countries where people are most optimistic about the future—the Central African Republic, Sierra Leone—are places where the past was so desperate that citizens may assume the future simply couldn’t be worse. In other words, pessimism doesn’t really seem to have much to do with actual or future economic conditions. In addition, the rule of law that Lee helped create in Singapore—the country regularly is ranked by Transparency International as the least corrupt in Asia—continues to give it an advantage in attracting investment. It offers this advantage even in an era in which China, India, Vietnam, Thailand, Malaysia and even Myanmar have arisen as destinations for foreign investors. Thailand and Malaysia, regional competitors to Singapore, actually appear to be heading backward in terms of the rule of law, a major reason why investors are, for instance, fleeing Thailand. (According to a recent report by Reuters, Thailand’s manufacturing sector has shrunk for twenty-two consecutive months.) China, meanwhile, has in recent years become increasingly unpredictable for foreign investors. Nationalist sentiment, the increasing personalization of power around President Xi Jinping, and a host of proposed new restrictions on foreign investment have caused foreign investors to become more cautious about pouring into the country. Vietnam and India, for all their advantages, remain places where investment is hindered by regulation, opaque administration, and non-tariff barriers. What’s more, Singapore is becoming more innovative as the country moves up the value-added chain, the social and political environment loosens up, and some of Singapore’s best talent stays home. Bloomberg’s annual index of the world’s most innovative countries ranks Singapore in the top five in the world in terms of manufacturing innovation, and as the eighth most innovative country in the world overall. In the Bloomberg index, Singapore places ahead of other rich economies including the United Kingdom, France, and Canada, and only two spots behind the United States. The country certainly faces challenges—income inequality, population density on such a small island, immigration—but it is more prepared for the future than many of the naysayers admit. The dispute within the city-state’s ruling family has severe consequences for the future of the country and its leaders.